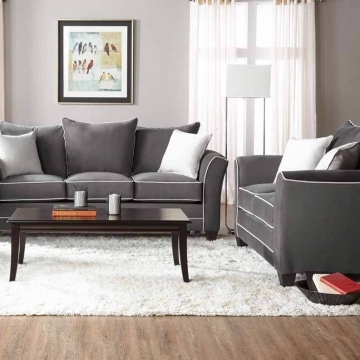 Add a splash of color to your home with the Jitterbug Cocoa Upholstery Collection from Washington Furniture. The 1560 frame is constructed of hardwoods and plywoods with quality foam cushion core construction. This collection is covered in a gray colored polyester woven fabric with accent pillows that add a splash of color and pattern to the look. 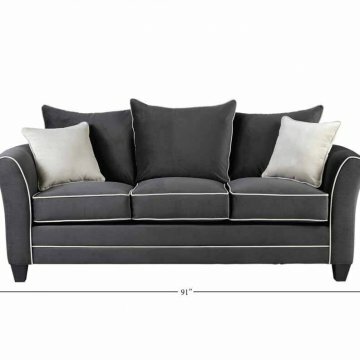 The couch offers a simple silhouette with striking accent pillows to add color and pattern to any home. Chair and Ottoman also available.